Olivier Giroud is a professional footballer from France who has played as a striker for his team France and also the Chelsea club. He didn’t play for the youth teams of France and directly started playing for the senior / adult team of France in 2011. From 2012 to 2018, he played for Arsenal where he scored 73 league goals. He has had an endorsement deal with Puma in the past. He is based in London, England. Olivier Giroud got his soccer education from Grenoble’s youth academy. Olivier Giroud is represented by Michael Manuello. Jennifer (2011-Present) – Olivier Giroud got married to Jennifer in 2011. Giroud prefers to keep his personal life private because of which not much is known about his wife and their relationship. In 2013, she gave birth to their daughter Jade. In early months of 2014, their relationship hit a rough patch as it was alleged that Giroud had cheated on her with a model. 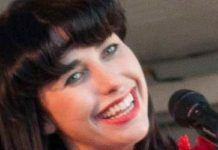 However, they managed to pull through and in 2016, she gave birth to a son. Towards the end of 2017, it was revealed that they were expecting their third child. Celia Kay (2014) – In February 2014, Olivier was accused of having an affair with model Celia Kay. It emerged that he had taken her to his room at the luxurious Four Seasons Hotel in Canary Wharf after his side’s match against Crystal Palace. He initially denied all the allegations. However, after images of him in his underwear in the hotel room were released by Kay, he issued an apology to his wife on social media. He has French ancestry. He also has Italian ancestry through both his grandmothers. 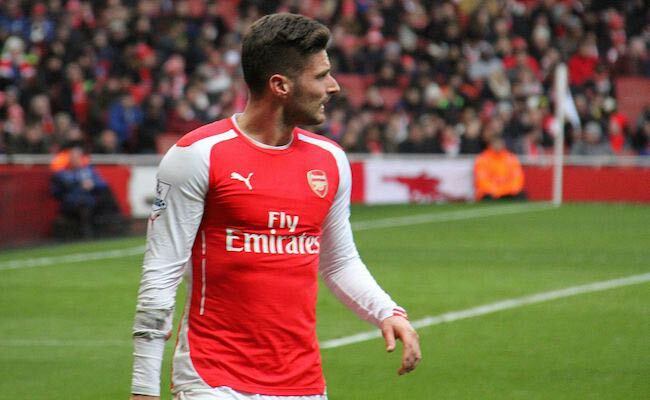 Olivier Giroud has inked an endorsement deal with Puma. The deal requires him to wear their cleats for his professional soccer appearances. He has also appeared in a series of TV adverts for Puma. In September 2014, he also appeared alongside his Arsenal teammates in a TV advert for Paddy Powers for their anti-homophobia “rainbow laces” campaign. In 2014, he was signed up as a spokesmodel for Hugo Boss‘s Boss Bottled men’s fragrance. He is a devout Catholic. Having played over 250 games for London based club Arsenal FC. He also managed to score 105 goals for the club in all competitions. Being the first choice striker for the French national team. He has managed to displace Real Madrid striker Karim Benzema to make a striker position of his own. Being one of the best looking professional soccer players. He was selected as the Hottest Premier League Player in February 2015. In March 2005, he made his professional soccer debut with French club Grenoble against Gueugnon in the Ligue 2 match. He was sent in as a substitute in the second half. In August 2012, he made his debut for Arsenal FC in a home match against Sunderland at Emirates Stadium. 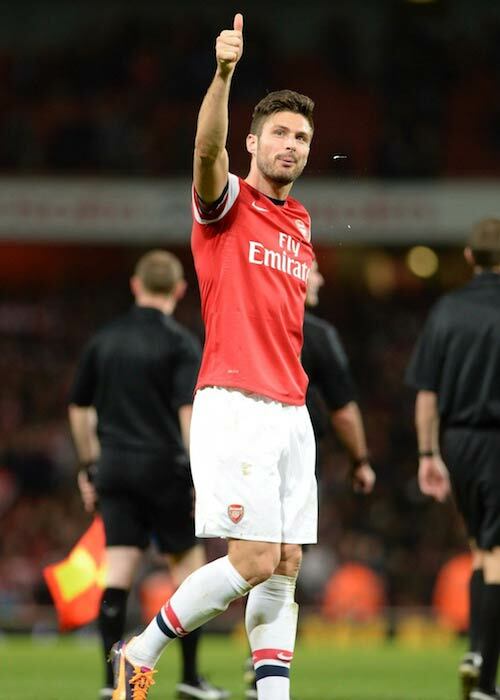 He had come in for Lukas Podolski in the goalless draw. In February 2018, he made his first appearance for Chelsea against Watford in a Premier League away game. In November 2011, he made his international debut for France in a friendly match against the United States. 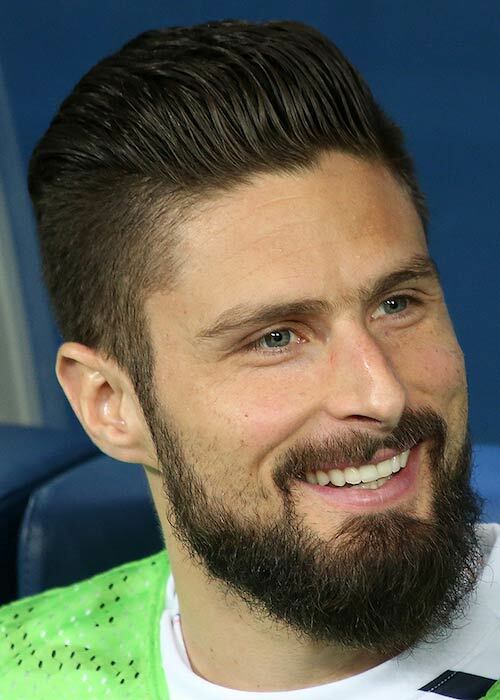 In November 2013, Olivier Giroud made his first TV show appearance on the French TV series, Le petit journal. He started his soccer career at his hometown club, Olympique Club de Froges. He played for them for 6 years before joining the youth setup of Grenoble at the age of 13. Giroud is a late bloomer. He signed his first professional contract with Grenoble at the age of 21. Usually, young soccer players sign professional contracts in their mid to late teens. In February 2007, he scored his first professional goal as he netted an injury-time winner for Grenoble against Le Havre. In July 2010, he moved to Montpellier as they purchased him from Tours. He had managed to catch the attention of Montpellier by finishing as the leading goalscorer of Ligue 2. He was also recognized as the National Union of Professional Footballers (UNFP) Ligue 2 Player of the Year. In his second season with Montpellier, he managed to help his team win first Ligue 1 title in their history. He scored 21 goals in 36 league matches. 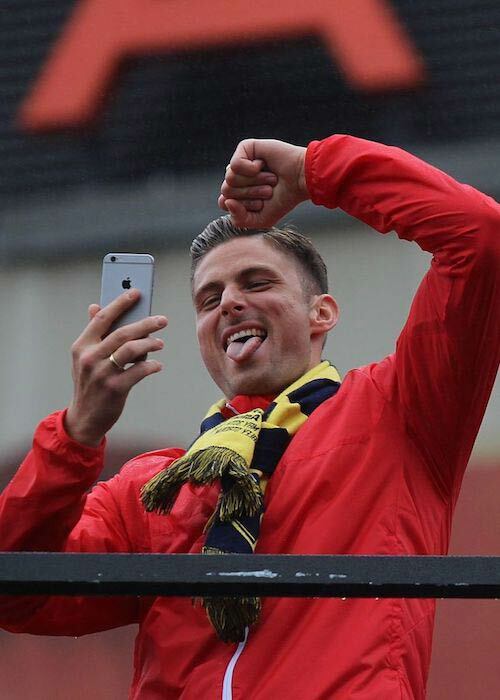 In June 2012, Arsene Wenger signed Giroud for Arsenal on a long-term contract. The transfer fee was reported to be around £9.6 million. Prior to making his debut for the French national team, he hadn’t made an appearance for any of the national youth teams, which makes his achievement to become the main striker for the senior team even more significant. In May 2018, after scoring his 31st international goal, he became the fourth-highest goalscorer for his country. He also equaled French legend Zinedine Zidane‘s record. He has got lines from Psalm 23 in Latin: Dominus regit me et nihil mihi deerit (The Lord is my shepherd; I shall not want) tattooed on his right arm. In 2013, he posed naked for the French calendar Dieux du Stade, which features naked sportsmen and is sold for charity.